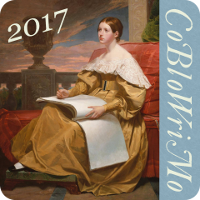 The year is going on so fast, that for the Historical Sew Monthly we’re already facing Challenge #10: Out of Your Comfort Zone. To participate, create a garment from a time period you haven’t done before, or that uses a new skill or technique that you’ve never tried before. I don’t know what’s out of your comfort zone. But to give you some inspiration, I will tell you, what’s out of mine. Men’s clothes: This one is quite simple: I’m a woman and as I sew mainly for myself, I don’t know much about men’s clothes. So researching about what a man would have worn in a specific period, what patterns and material to use would be new to me. Material: The first fabric I sewed with was woven cotton. Seven years later, it’s still my favourite fabric. I mainly sew basic garments like underwear or blouses, so plain white muslin or batiste is my go-for material. But there are pretty silks out there, too. And wool. Or other weaves like velvet or knits ( I really dislike knits especially). But a wardrobe looks so much more diverse in different materials. So if you too know that problem, just try something different or improve your skills on a disliked material. Hardware: One of my longtime horror projects were corsets. I was afraid of using all that hardware stuff like boning, busks and grommets. Even the fact of getting all these notions made me avoid the project for some time. But I conquered my fear last year and made my very first corset. Sewing all the panels and putting in all of the hardware was really quite easy. The only problem I had was fitting, which brings me to my next point. Fitting: I’m usually one for going with loose-fitting clothes like chemises or blouses, because they are allagedely easier to make. But even there you can have fitting issues with sleeves or collars. Instead of leaving it as is and always being bothered by the wrinkling or such, you can make a mock-up before you cut the real fabric and work on the fitting. Some projects can take a lot of mock-ups and trying-ons, pinning, re-cutting and shortening or lenghtening. But hang on! It is worth it. In the end you will have a well fitting garment that you will love. And don’t be disappointed if it doesn’t work out the first time. You will definitely learn from every single attempt and your garments will look better every time. Embroidery: ‘I must put that on my ‘to-sew’-list!’ is a sentence I have thought quite often when I saw yet another ribbon embroidery video on facebook or all the beautifully embroidered originals and reproductions. But a whole embroidered dress looks so intimidating and time consuming to me. But a dress like this would be worth all the trouble! 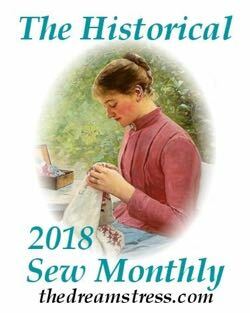 A new period: I haven’t done as much historical sewing as many of you out there in general, but my focus for the few things I have made is usually more on the 19th and early 20th century. However, for some time now I’m fascinated by the fashion of the 14th century. I admire those tight fitting dresses with flaring skirts and rows of buttons down the sleeves. The choice of material: Which fabrics were used in that time? And can I find a suitable equivalent in todays fabric stores? The techniques used: Do I need a lining and if so: flatlining? Would handsewing be more accurate or can I use the machine? Which stitches can I apply? Underthings: What did they wear under these dresses? Were drawers a thing yet? Did they wear corsets? And if not: some other bust support? And overall: Are there regional differences? Which social class do I like to portray? This seems like much, but you probably already have done that research for another period before and mastered it. You can go for secondary sources like books, but also for primary sources like extant garments, paintings and documents. 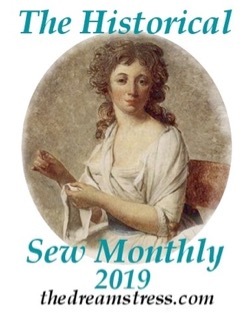 Further the historical sewing community out there is so big, you can find a lot of people who can help you with your research.